Identifying these nine words that sum up why most practices should consider adopting a telemedicine platform was fairly easy. Deciding which order they should go in was a little more challenging, so I didn’t. Here they are in no particular order. Adding just a couple of video visits per provider a day can have a significant impact on revenue over the course of a year. To see how much, try our handy revenue calculator. Visits conducted using a telemedicine platform require much less office overhead, allowing staff to focus on other priorities. Physical space is also used more efficiently allowing practices to down size real estate or support more providers in the same space. The fear of losing private payer reimbursement for telemedicine visits can be largely put to rest. State laws and private payer practices are rushing to keep up with the need for this additional channel of care delivery. Patients do better when they are compliant with follow-up visits, especially for medication management and lifestyle coaching. Introducing a telemedicine platform eliminates obstacles like time off from work and travel expenses, making patients more likely to make and keep follow-up appointments. The population of the United States is quickly aging. Depending on the nature of your practice, this could mean a sharp increase in the number of patients with chronic illness, those who have difficulty traveling, and those who reside in assisted care facilities. Telemedicine is one way to mitigate the impact of changing demographics on your practice. Because video visits can be conducted from anywhere, the concept opens up a number of possibilities for providing more flexible appointment times. It also eliminates the need to cancel certain types of appointments in the face of a weather emergency, power outage or other problem that keeps staff from reaching the office. Retail health clinics are springing up in drug stores everywhere and there are more online services for routine medical visits available every day. 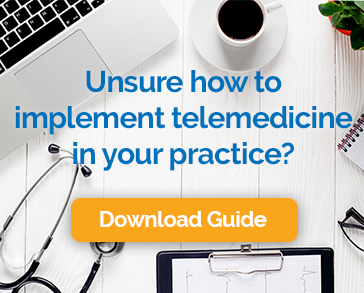 A telemedicine platform helps your practice compete against these extremely convenient options. Last minute cancellations and no-shows have a huge impact on practice profitability. Patients with an option to use video are less likely to cancel due to problems getting time off from work, difficulty with child or elder care, or travel issues like car trouble. Even if you ignore all of the other benefits of a telemedicine platform for your practice, you have the opportunity to provide a service to patients that saves them time and money, improves their health outcomes, and provides better continuity of care than the alternatives. Helping people is what you do, offering the option of remote care is a great new way of doing it.